Make sure your motorcycle is safely protected by using our motorcycle transportation, shipping and towing services in Jupiter, Florida. At Jupiter Motorcycle Transport & Storage, we use a top-of-the-line loader with a hydraulic lift system for safer loading of your bike as our movers work on shipping your motorcycle to your destination. Because our company doesn’t use the traditional fold-out gate or deck, there is much less risk of damage. 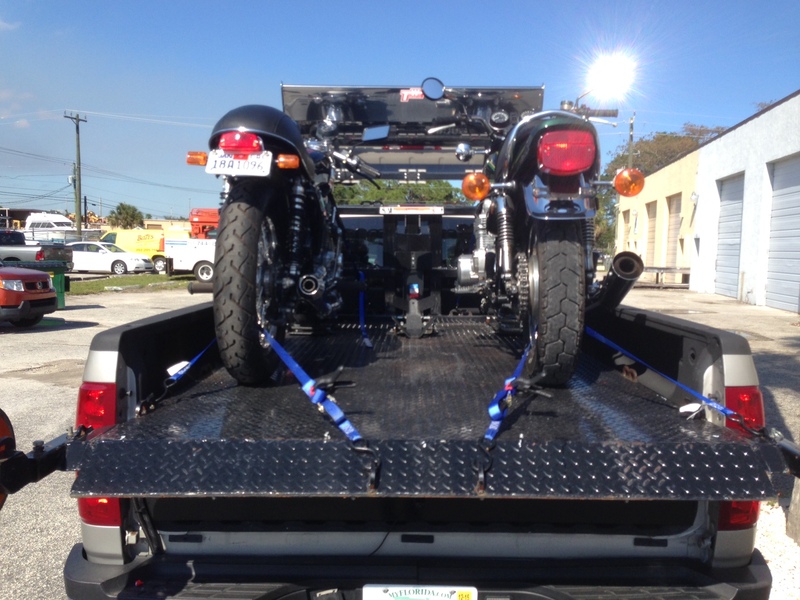 Let our motorcycle transportation carriers do the job for you at a cost you will be more than satisfied with! Our motorcycle transportation, shipping and towing services are perfect if your motorcycle is broken down and you need help moving it to a repair shop. It’s also ideal for transporting or shipping your motorcycle to a show. We are fully insured in the unlikely event anything happens to your motorcycle (however we make sure to take the utmost care!). And if it has been stored for a while, we offer cleaning and detailing services.